19-year-old Alexander Zverev upset top seed Roger Federer 7-6 (4), 5-7, 6-3 in the Halle semi-finals. It marked the first time the Swiss failed to contest the final in 11 straight appearances. 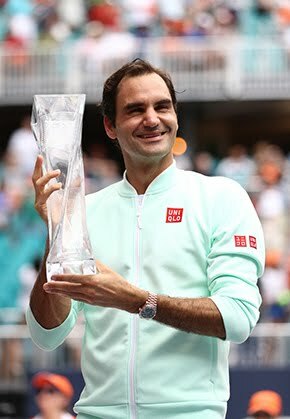 Still in search of his first tour-level crown in 2016, Federer says he is not lamenting his missed opportunity for an unprecedented ninth Halle title. Following an extended absence due to back and knee ailments, his return has been full of positives. "Looking back on how I felt three, four weeks ago, this is pretty good," Federer said to assembled media following the match. "Talking to me after a loss clearly is always tougher to step back and just to reassess how great everything is, but I must say it’s gotten better and better. "I think there are little things that just have to fall into place and then you play better and feel better. I hope it’s sooner than later and I know what I need to work on in the next 10 days. Clearly, I also need to rest now. It’s been a lot of tennis. This has been seven matches in nine or ten days now. It’s been intense and it’s been busy and it’s exactly what I needed. At least I have a clear picture now where my game is at, what I need to do and without Stuttgart and Halle I wouldn’t have that. I have more clarity now." 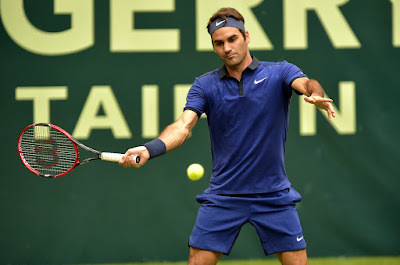 After reaching the last four at the Mercedes Cup in Stuttgart (l. to Thiem), Federer moved to his happy hunting ground in Halle in search of match play and rhythm on the grass. At 34, the Swiss admits he is taking it one step at a time and progress is there. "The only thing missing is a better baseline game. I guess that comes through movement and through just playing enough again. I feel the serve has come back around now, the returns have gotten better also throughout the match today. "I think if the movement gets better and then the baseline game improves a little bit, I’ll be better on the big points, on the return and also in less trouble on my own service games. But I’m okay and I’m pleased on how I played, how I’m feeling and now we’ve got enough time before Wimbledon to get ready for that." 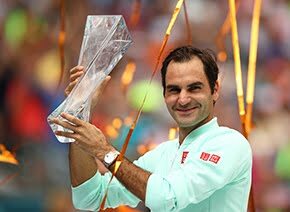 Federer will next head to SW19 for the Wimbledon Championships, looking for a record eighth title. Always a threat on the lawns of the All England Club, the World No. 3 is not tempering expectations but stresses that patience is essential. "I definitely need a rest first and once I get back to practice and by the time the press conferences get rolling in Wimbledon, I can probably tell you a whole lot more."